The Ndisa Butti singer has been in the news for having beaten up a queen dancer who was demanding for her money but before this could settle, Bebe Cool is back in the news after a bar brawl that left his hummer windscreen smashed. Apparently, Bebe Cool was at a bar in Nakulabye on Friday night before a fan pushed him trying to see just how far this could go. Bebe Cool who was not with his bouncers at the time had to retaliate like a wounded buffalo pushing this fellow to the ground. It later turned out that the majority of the revellers in the bar at the time were Bobi Wine fans so they used the opportunity to tell off Bebe Cool. The moment Bebe Cool pushed one of them, the rest resorted to pelting stones to the Big Size Hummer smashing the windscreen in the process. Wandegeya police had to swing into action and some of the partiers at the bar were arrested. 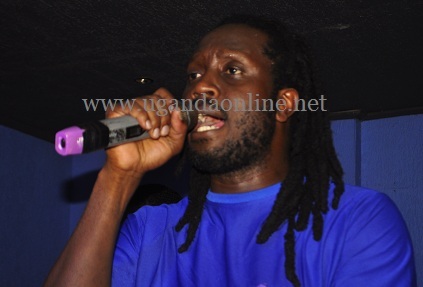 Bebe Cool's Hummer was still held at Wandegeya police by Saturday afternoon. When this got to Bobi Wine, these were his words: "When a man resorts to violence, then his ability to reason has reached it's limit. As young boys we tend to have our energy in our muscles but when we grow up, we tend to have them in our brains, however, it should also be remembered that growing old is compulsory but growing up is optional"